❝ In 2015, a blockbuster study came to a surprising conclusion: Middle-aged white Americans are dying younger for the first time in decades, despite positive life expectancy trends in other wealthy countries and other segments of the US population. ❝ In a new 60-page paper, “Mortality and morbidity in the 21st Century,” out in draft form in the Brookings Papers on Economic Activity…the researchers weave a narrative of “cumulative disadvantage” over a lifetime for white people ages 45 through 54, particularly those with low levels of education. Meanwhile, gains in fighting heart disease have stalled, and rates of obesity and diabetes have ploddingly climbed. Here are the five big takeaways from the researchers’ new opus. No one ever complained about American voters being quick to react to economic and political dangers threatening their lives and lifestyle. The opposite prevails courtesy of pundits, priests and – I would venture – a lockstep 2-party political hierarchy that severely limits opportunities for change outside the boundaries of obedience. It may be that the contemptible, sneering class warfare now being inflicted in tandem by Trump and neo-con Republicans will provoke sufficient opposition to rise fast enough and deep enough to flush out the Democratic Party deadwood. I hope so. That doesn’t mean I’m confident. Is this a record the United States should be proud of? The men and women who were cleared last year had, on average, served 14.5 years in prison. Some had been on death row. 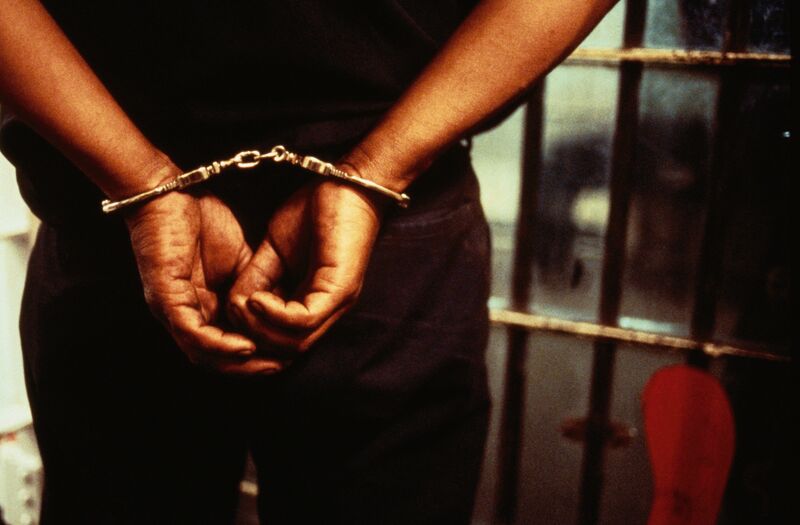 Others were younger than 18 when they were convicted or had intellectual disabilities. All had been swept into a justice system that’s supposed to be based on the presumption of innocence, but failed. ❝The high number of exonerations shows widespread problems with the system and likely “points to a much larger number of false convictions” that haven’t been reversed, the report said. ❝False identifications of innocent people happened in several cases the exoneration registry report outlined. ❝There’s no clear data on how many innocent people have been wrongfully convicted. The Innocence Project, citing multiple studies, estimates from 2 percent to 5 percent of prisoners are actually innocent. The U.S., which leads the world in incarceration of its citizens, has approximately 2 million people behind bars. That means a wrongful conviction rate of 1 percent would translate to 20,000 people punished for crimes they didn’t commit. On death row, 1 in 25 are likely innocent, according to a recent study. Innocent until proven guilty. Really? ❝Violence has risen steadily in El Salvador since a 2012 truce between the country’s two main gangs began to fall apart in 2014. The number of homicides reached an estimated 6,650 in 2015, from 3,912 the year before, said Miguel Fortin Magana, director until Dec. 31 of the National Forensics Institute of El Salvador. “It’s a real pandemic,” he said. ❝The homicide rate is more than 103 per 100,000 inhabitants, making the country of 6.4 million among the most violent in the world, according to Insight Crime, a foundation that analyses organized crime. RTFA. Work your painful way through the images recorded by Jose Cabezas. I don’t doubt for a minute our country could offer something useful to this poor, tortured nation. We certainly didn’t have a problem training murderers in their military for civil war in the past. “When an Albuquerque couple caught a man burglarizing their garage, they asked him to stop. “Upon arrival, I observed an older male … pointing some type of rifle at a male suspect on his knees,” an officer wrote in a criminal complaint filed in Metropolitan Court. “He went over to the man, later identified as Lujan, and asked him to stop, but Lujan continued loading the items, according to the complaint. Kennedy went inside and got his wife, Rebecca Kennedy, 66, and they armed themselves. BUT – this is New Mexico. Even a former governor admitted life here is more like living in the 3rd World than a modern nation. We have a judicial system that is a perfect example of that. There are no standards. Care and concern for ordinary citizens does not exist. Lujan was taken back to jail. Remember he just violated his bail from a drug case. No worry. Going before a judge on the burglary charges, he was released on his own recognizance. No need for bail, then, you see. On Monday, the minister in charge of national drug strategy said that Ireland’s next government will likely move toward decriminalizing all drugs, the Irish Times reported. 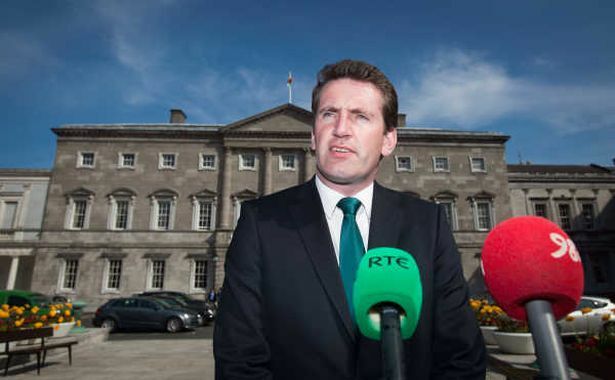 Aodhán Ó Ríordáin also said that the country will open up injection rooms for heroin addicts, where users can obtain and use the drug — under strict medical supervision — without resorting to criminal traffickers and dealers. This does not mean that Ireland stores will begin selling marijuana, heroin, and cocaine anytime soon. But if the next government takes up the plan outlined by Ó Ríordáin, it would remove criminal penalties for the possession of these drugs, eliminating the risk of prison time for drug possession, while criminal penalties remain for manufacturing, trafficking, and selling the substances. Ireland wouldn’t be the first country to do this. In a move that got a lot of media attention, Portugal in 2001 decriminalized all drugs, including heroin and cocaine. Reports from Portugal have found largely promising results, with drug use remaining relatively flat as more people get treatment for their drug problems. But Portugal didn’t just decriminalize; it also paired up decriminalization with a much greater emphasis on public health programs for drug addicts. That seems to be what Ireland is trying to do, as well. And at a time when the US is dealing with a harrowing opioid painkiller and heroin epidemic, Portugal and Ireland’s radical approaches could provide a lesson to America. Which presumes the United States once again recognizes health as a public need with public solutions. But more broadly, the new Irish approach is increasingly becoming the new norm. As more countries take another look at the war on drugs and its failures to significantly cut down on drug use, they’re looking to rely less on law enforcement and more on doctors and hospitals to deal with drug abuse and addiction. Ireland is just the latest high-profile example of this shift. America, as it deals with its opioid epidemic, might not be too far behind. I manage to be both an optimist and a cynic. I believe much of the educated world will continue to move towards solving substance abuse questions as a public health issue. I don’t include the United States in that equation. U.S. Customs and Border Protection, the nation’s largest law enforcement agency, is vulnerable to “systematic corruption” by drug cartels, smugglers and other criminals, and investigations of its internal abuses are “chronically slow,” according to a Homeland Security Department report that reveals glaring problems in the agencies that police the nation’s borders. The abuses are so widespread that Customs and Border Protection, the parent agency of the Border Patrol, should add nearly 350 criminal investigators to target internal corruption and the use of excessive and unnecessary force against migrants, the report concludes. That would boost the internal affairs roster by nearly 166%. Arrests of border agents and customs officers “far exceed, on a per capita basis, such arrests at other law enforcement agencies,” the…report notes. “Until this is reversed, [Customs and Border Protection] remains vulnerable to corruption that threatens its effectiveness and national security,” warns the report, which was requested by Homeland Security Secretary Jeh Johnson. In May, the Customs and Border Protection internal affairs office absolved dozens of Border Patrol agents of criminal misconduct in 64 shooting incidents between January 2010 and October 2012, including 19 that resulted in deaths. The Justice Department is still considering charges in three other cases. Critics along the Southwest border and in Mexico long have argued that the Border Patrol operates with little transparency or accountability. Vicki B. Gaubeca, co-chair of the Southern Border Communities Coalition…said the report showed how Customs and Border Protection “falls short of law enforcement best practices” and needed to change. Understand that this service is probably hiring folks who don’t qualify for TSA. 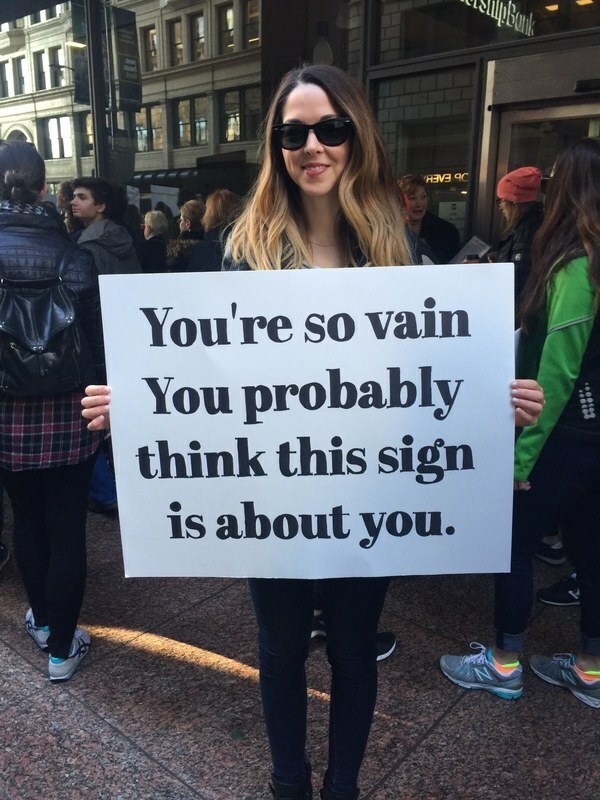 Doesn’t that inspire confidence? Scientists once believed that drug addiction was simply a physical craving: Drug addicts who became sober and then later relapsed merely lacked willpower. But that view has gradually shifted since the 1970s. Today, most experts acknowledge that environmental cues — the people, places, sights and sounds an addict experiences leading up to drug use — are among the primary triggers of relapses. It was an environmental cue (a ringing bell) that caused the dogs in Ivan Pavlov’s famous experiments to salivate, even when they couldn’t see or smell food. Led by Hitoshi Morikawa…a team of researchers trained rats to associate either a black or white room with the use of a drug. Subsequently, when the addicted rats were offered the choice of going into either room, they nearly always chose the room they associated with their addiction. Morikawa noted that because isradipine is already labeled as safe for human use by the FDA, clinical trials could potentially be carried out much more quickly than with nonapproved drugs. Regular readers of my personal blog know I’m not especially positive about dealing with junkies. It’s just the streets where I grew up don’t ever seem to lose that population. I don’t spend much time on the range of reasons why – or why not. There hasn’t been any diminishing of my cynicism over a long, long time. This sounds positive. This sounds potentially useful. My basics haven’t changed. I still think we can take the crime out of drugs by completely decriminalizing drug use. That removes most costs from addiction and from society. But, this is an addition to treatment worth following up on in serious research. So much for coppers and politicians who were certain easing laws on ganja were going to kill us all. The chart above tells the story. For marijuana, and for a number of other legal and illegal drugs including antidepressants, painkillers, stimulants and the like, there is no statistically significant change in the risk of a crash associated with using that drug prior to driving. But overall alcohol use, measured at a blood alcohol concentration threshold of 0.05 or above, increases your odds of a wreck nearly seven-fold. We also need a lot more research into the effects of marijuana use on driving ability, particularly to get a better sense of how pot’s effect on driving diminishes in the hours after using. But this kind of research remains incredibly difficult to do, primarily because the federal government still classifies weed as a Schedule 1 substance, as dangerous as heroin. Reinforcing for the umpteenth time that our government really doesn’t give a crap about accuracy, evidence-based conclusions or the truth about much that’s important. Think about that while everyone from Congressional hacks to the White House to assorted media sycophants, right-wing and barely-left-wing do their level best to encourage our participation in jolly wars in Ukraine, Syria, Afghanistan, Iraq, Pakistan, Venezuela, Cuba, etc..
And, yes, let’s keep on picking up the tab for 750+ military bases around the world. Hey, we’re the richest country in the world, right? We can afford it. Lots of ordinary citizens know the War on Terror, the War on Drugs – are just as [un]necessary as ever. With the Mexican government facing widespread public outrage over the alleged role of police and other officials in the September forced disappearance of 43 students, and the killings of at least six others, from Ayotzinapa Normal School, the country’s federal prosecutor (PGR) has for the first time declassified a document on the suspected participation of police in the kidnapping and massacre of hundreds of migrants in San Fernando massacres of 2010-11. The new revelations, along with key U.S. documents on how violent drug cartels gained control of local police forces in parts of Mexico during the last decade, are the subject of “San Fernando-Ayotzinapa: las similitudes” (“San Fernando-Ayotzinapa: the similarities”), an article published online…in Mexico’s Proceso magazine in collaboration with Michael Evans and Jesse Franzblau of the National Security Archive. According to declarations from members of the Los Zetas drug cartel named in the newly-declassified “Tarjeta Informativa” (“informative note” or “information memo”), the police acted as “lookouts” [“halconeo”] for the group, helped with “the interception of persons,” and otherwise turned a blind eye to the Zetas’ illegal activities. Those crimes included the summary execution of 72 migrants pulled from intercity buses in San Fernando in August 2010 and an untold number of similar killings that culminated in the discovery, in April 2011, of hundreds more bodies in mass graves in the same part of the Mexican state of Tamaulipas. The victims were mainly Central American migrants making their way to Texas, which borders Tamaulipas to the north. The state’s highways are at once primary avenues for migrants and highly-contested narcotrafficking corridors. If the facts surrounding the San Fernando case seem eerily familiar, it is beacuse they follow pattern seen over and over again in recent years. 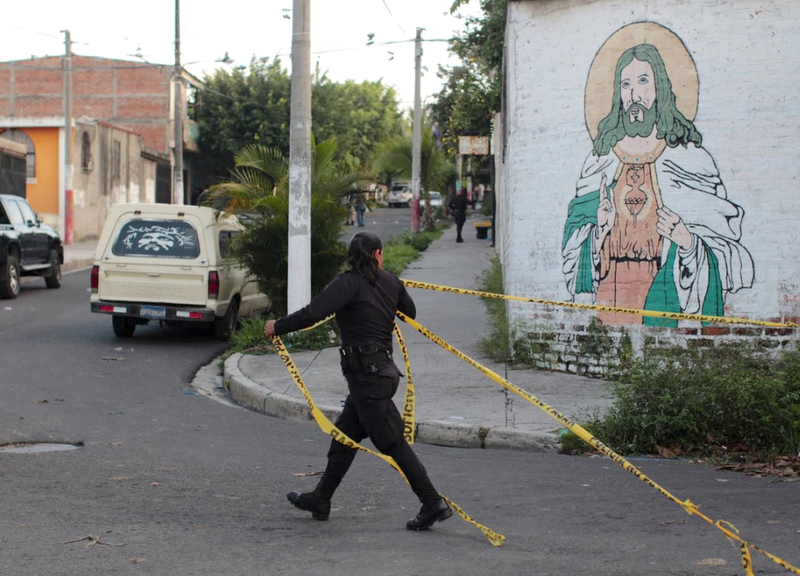 Like the Ayotzinapa case, the San Fernando massacres are symptomatic of the dirty war of corruption and narcopolitics that has consumed parts of Mexico over the last decade. Killings like these are disturbingly common, and the forces behind the mayhem—usually drug cartels counting on the collaboration of, at a minimum, local police—are remarkably consistent. RTFA for more details of government corruption than the most cynical might imagine. The task of decriminalizing the Mexican government is Herculean. It feels like that nation and the government should take a year or two off from every other activity and simply focus on jailing all the politicians and their gangster compadres. Only then might Mexico start all over again as a free and democratic nation.